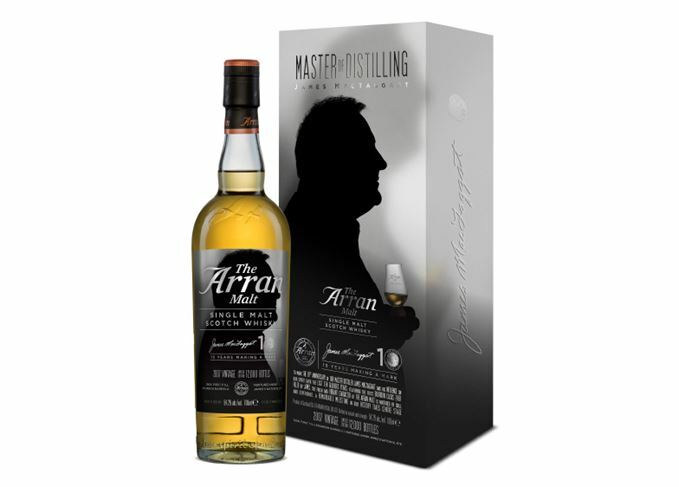 A new limited edition single malt from the Isle of Arran Distillery celebrates master distiller James MacTaggart’s 10th anniversary in the job – and his 40 years in the Scotch whisky industry. Arran James MacTaggart Anniversary Single Malt marks MacTaggart’s first full decade as the Lochranza distillery’s master distiller. Described as ‘fresh and vibrant’, the whisky has been blended from first-fill Bourbon barrels filled during MacTaggart’s first few months in the job during 2007. ‘The last 10 years have been very special for the distillery,’ said MacTaggart, who began his career at Bowmore distillery on Islay in the 1970s. ‘We’ve released our oldest age statements, including the 18 Year Old which was a real coming of age for Arran. Euan Mitchell, managing director of Isle of Arran Distillers, added: ‘James is a man dedicated to traditional whisky making, but with an eye to the sensibilities of the modern whisky drinker. 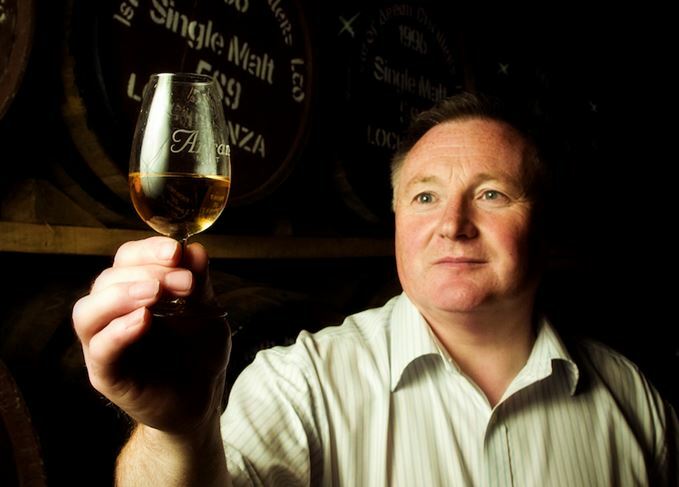 ‘He’s been instrumental in establishing the quality reputation of the Arran Malt and opening Scotch up to a new generation of fans. Non-chill-filtered, bottled at its natural cask strength of 54.2% abv and without artificial colouring, the whisky will be available from early October from arranwhisky.com, from the distillery shop at Lochranza and from specialist whisky retailers worldwide, priced at £64.99 a bottle. 'Hal' Currie brought distilling back to the Isle of Arran after more than 150 years.